Nestling alongside lemon groves, beneath the cliffs of the north-western shore of Lake Garda, Limone is a picture postcard resort - an artist’s paradise. Houses covered in blossoming geraniums and bougainvillaea line the old, cobbled streets that lead up from the lakeside. The lakeside is equally colourful with two small harbours, old arches and a variety of shops - leather goods are a speciality. The Tourist Board organises free guided walks in the area and fireworks displays, cultural visits and concerts in the square most Saturdays. Limone’s bars and promenade really come to life in the evening. Our hotels in Limone offer you a great choice of accommodation for the perfect stay. With its idyllic position in a pedestrianised area right on the lakefront, the Hotel All'Azzurro is the perfect choice for those those who like to have every element within arms reach. Offering stunning views and close proximity to both the town centre and the ferry port, this is a great hotel for those looking to explore Lake Garda. This friendly, family run hotel enjoys glorious views over Limone and the lake. This modern hotel is ideally situated only 3 minutes' walk (300m) from the town centre and lake front. The hotel is conveniently located about 300m from the lakeside and beach, and a short walk from the resort centre. It offers good facilities including an outdoor swimming pool and an attractive wellness centre with indoor pool with whirlpool, steam room and sauna. 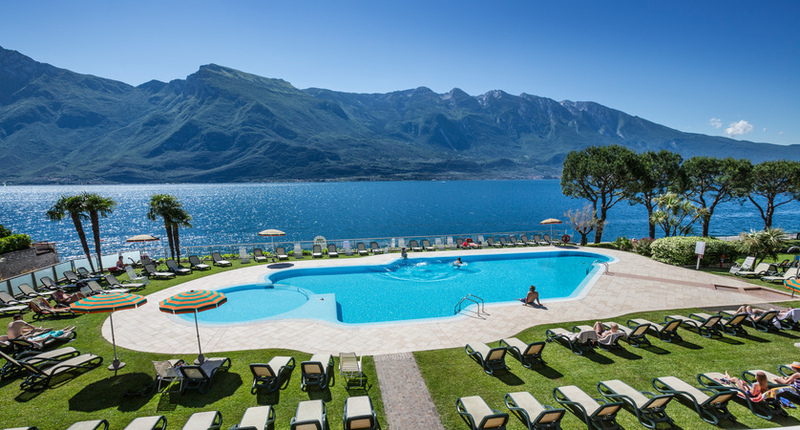 A superior hotel with superb panoramic views of Lake Garda and the resort of Limone. Positioned above Limone 15 minutes' from the resort centre the San Pietro offers a quiet and relaxing atmosphere along with attentive and friendly service. Recently renovated the Sogno del Benaco is set within its own gardens just 200m from the centre of Limone. The new modern design gives the hotel a vibrant feel. Villa Dirce is built into the cliff above Limone affording stunning views across the lake. The hotel is a 25 minute walk along the lakeside promenade or short shuttle ride from the centre of resort. Very popular hotel set in extensive gardens above Limone, this hotel enjoys superb views of the lake. Royal Village offers a wide range of facilities and excellent value for money. The Villa La Gardenia & Oleandra are located in an elevated and tranquil position, just 5 minutes’ walk from the centre of Limone. The hotel is surrounded by beautiful gardens and olive trees and offers wonderful views of picturesque Lake Garda. The Hotel Du Lac enjoys the most scenic location right on the lake and only 6 minutes' walk to the historical centre of Limone. Transfer Approx. 2hrs 15mins by coach. Holidays in Limone, Lake Garda give visitors a wide variety of things to do and see. Visit the colourful lakeside with two small harbours, old arches and a variety of shops - leather goods are a speciality. The Tourist Board organises free guided walks in the area, fireworks displays, cultural visits and concerts in the square most Saturdays. The shops stay open until late and Limone's bars and promenade really comes to life in the evening. 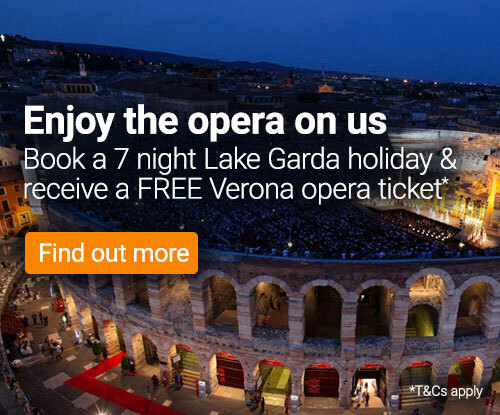 Two Centres | You can combine your 7 night stay in Limone with 3, 4 or 7 nights in Venice or Verona, or with a contrasting Lake Garda resort such as Sirmione or one of our mountain resorts Merano or Selva in the Dolomites.